As we are approaching the end of term it was time to count up the team points and celebrate the hard work from the children. 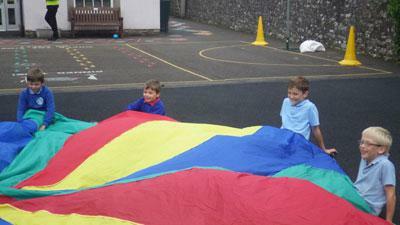 Everyone was put into their teams and Mrs Elstone announced the winners who were Barcelona with 1,573 points. The runners up were Bayern Munchen with 1,379 points and finally we had Real Madrid with 1,376 points. You can tell there is a football theme here for the team names! 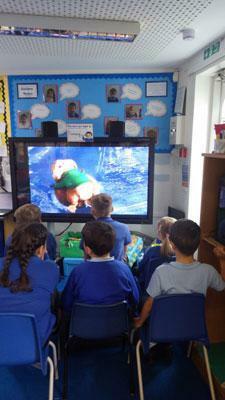 The first team had the choice out of three activities they chose to watch the DVD. 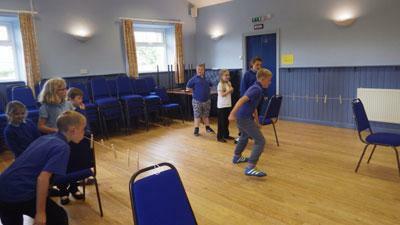 The second team chose party games and the third team chose outdoor games and sports. Each group enjoyed some party food as well. We had a great hour celebrating the children’s successes from a very action packed term! 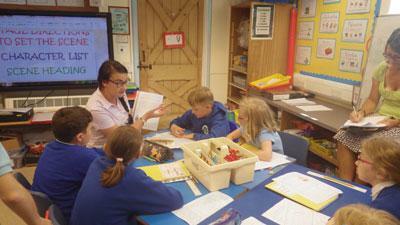 We also said a final goodbye to Miss Liggett who has been working in KS2 on her final teaching practice. She was very popular with the children and thanked all of them for making her ten weeks at Asby Endowed very memorable and most of all enjoyable. We wish her the best of luck in finding a teaching job back in Ireland.